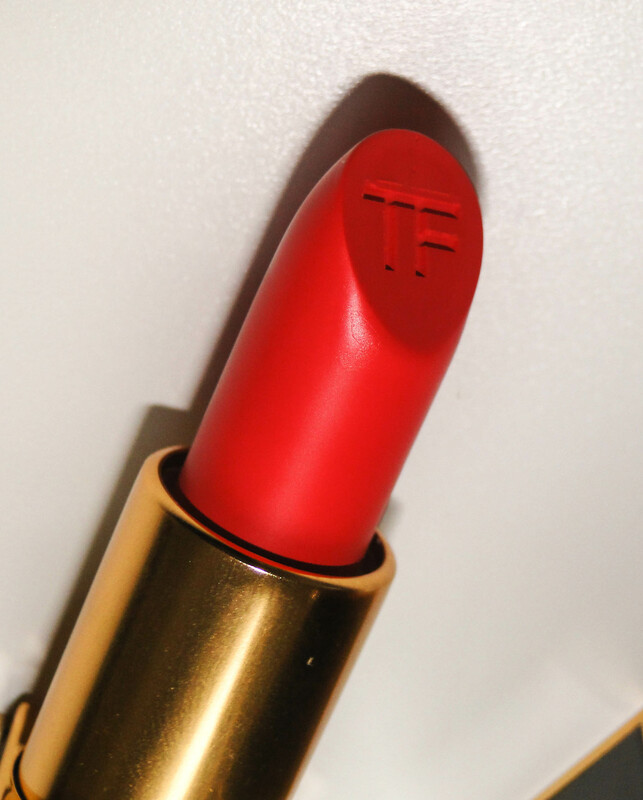 Like most people, I’m rather enamored with Tom Ford. I’ve lusted after his clothes since Gwyneth Paltrow wore that suit in the nineties, and when he released his eponymous beauty line a couple of years ago, I was all over it! I first saw it in Harvey Nicks, where I stocked up on luxurious basics like eyebrow pencils and eyeliner. But when I was in Paris I let myself loose on the lip colors. I left with a significantly lighter purse, clutching at a selection of the most perfect nudes I’d ever seen. But now, I felt it was time to dip my toe into more coloured waters. As you can see, the color is beyond incredible. 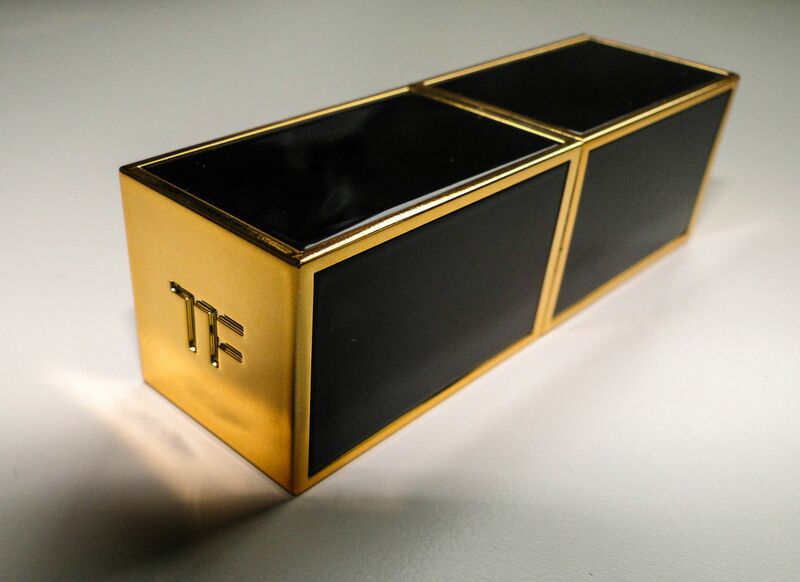 The chic black and gold case opens to reveal the most pigmented of lipsticks. I adore the TF imprinted in the bullet – it’s almost too beautiful to use. Almost. The colour is truly incredible. After applying a light layer of balm, I applied the colour straight from the tube. I adore the bright, blue toned pinky-coral. The blue tone means that teeth look super white too! One swipe is more than enough for a perfect layer, and it feels wonderfully light once it’s on. 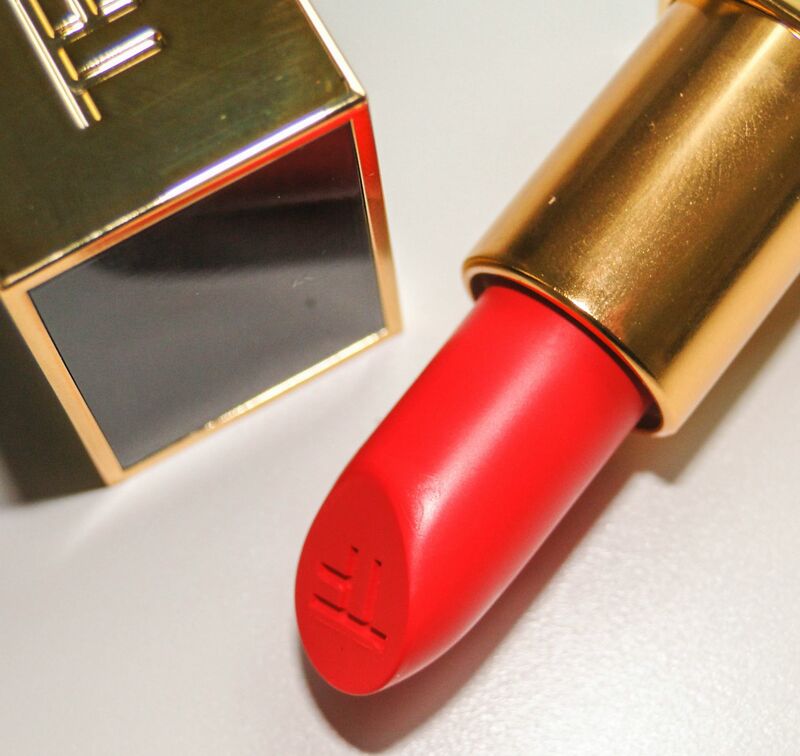 Unlike other bright and pigmented lipsticks I’ve applied, this doesn’t feel at all drying. Instead it just feels nourishing and it has a wonderful silky sheen. The wear of the lipstick is incredible too – over 4 hours before I needed a touch up, and there wasn’t a hint of smearing or feathering.